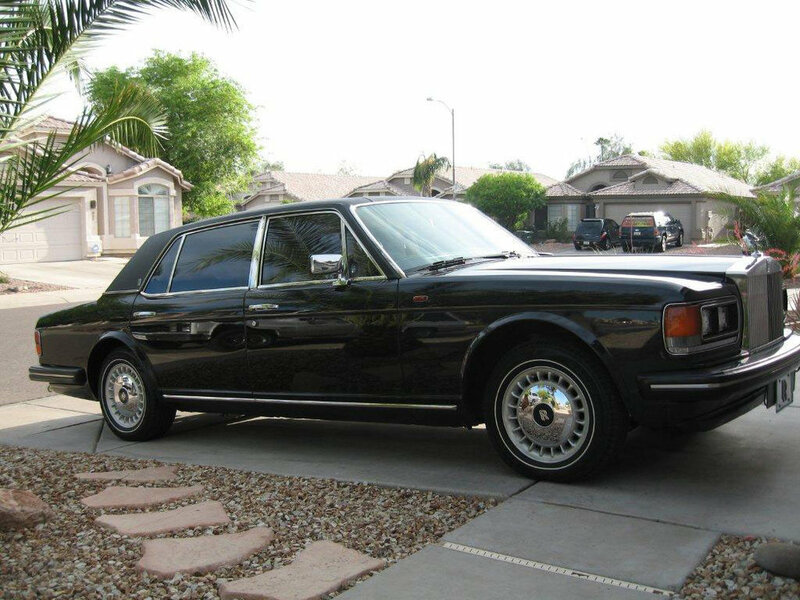 The twin HIF7 carburetors on my 1985 Rolls Royce Silver Spur were leaking fuel and working poorly. Rhys did a thorough examination of the carbs and installed service kits, needles, and new base plates. After he polished the chambers back to brand new he even installed new screws. I installed the carbs and manifold myself, which were pre-adjusted and balanced by Rhys. I followed his clear instructions and with only a minor mixture adjustment the Rolls is starting easier and running smoother than ever before. I wanted to send a follow up letter on your rebuild of my SU’s. The day I bolted them on the car, the car started right up and ran smooth so I made no adjustments. Nearly two years later I’ve yet to put a screwdriver on the carbs except maybe to boost the idle a bit. I drive the car pretty routinely and even in some recent near freezing conditions here, the Volvo 1800S started right up and ran great. Yesterday afternoon, I reinstalled the carbs in my XK120. You made them look so beautiful, that I often found myself handling them with towels so as not to mar the finish. It took about 5 hours as I am slow and methodical and I like to document everything as I go. I also installed new sparkplugs, a new inline fuel filter. I had previously drained the gas tank to be sure there is absolutely no water in the tank. This afternoon, I filled the dash pots with ATF, reinstalled the batteries, put some gas in the tank and crossed my fingers. Vrooommm! She started right up and after one slight puff of white smoke, she ran smooth and clean. I let the engine warm to standard operating temperature and I marveled at the fact that when warm, the mixture on both carbs was fine, and the idle speed (rpm) was perfect and the balance (checked with a Unisyn) was just about right on! Essentially, I had to adjust NOTHING!!!!! You dialed in both carbs perfectly on the bench! I shut the engine down, reinstalled the air intake hoses and went for a spin. I can honestly say that the car has never run this well in the ten years I have owned her. The engine ran as smooth as silk and accelerated without hesitation and at a rate I had never experienced. There was no visible exhaust and she took a long steep hill effortlessly. On descent, she purred. In every respect, performance is now outstanding. I have won my share of Concours d’Elegance events, and with these beautifully restored carburetors, I expect even more favorable judging. More importantly, I will take far more pleasure in driving my XK120, which after all is what such a machine is made to do! I just wanted to give you an update on our Amazon, the carbs you rebuilt, and our trip to Vermont for the 30th Anniversary VCOA Meet. We garnered 1st Place at the Route 66 Mother Road Festival, Best Foreign Car 1969 and Older. Then we managed to collect another 1st place award in the 120/130/220 class at the VCOA meet. Leaving New England and its spectacular fall color, we headed south through NY, Pennsylvania, Virginia (Blue Ridge Parkway), and Kentucky before getting back to Missouri and finally home to Kansas City. I wanted to let you know that I finally installed the HS6s. Wow, what a difference from before. The old shaky red engine ran smooth with minimal adjustments. Rhys you are a master. For over ten years now I have had difficulty starting the Morgan. After a couple of weeks in the garage it would take 30 or 40 seconds of cranking to get it to fire. 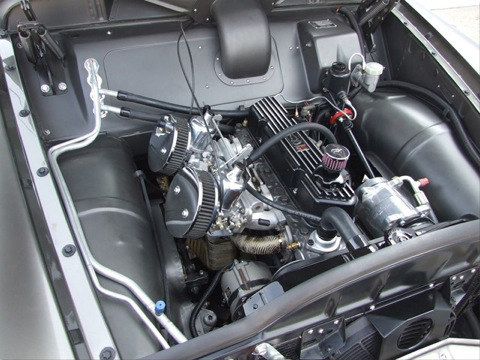 Even after a complete engine rebuild three years ago, which included pistons, camshaft, and every ignition component. Today I put the SU’s back on, hooked up the fuel lines and turned on the ignition. I waited for the electric fuel pump to fill the float bowls. Choked it and in one turn it fired. After 30 seconds I pushed the choke in...almost a perfect idle. I decreased the idle with minor adjustments and it ran smooth as glass at 850 rpm. My first test was mixture balance, and so far it seems perfect. I lifted the pistons on either side and the rpm increases then drops evenly. I have to tell you that after driving my Volvo I haven’t stopped smiling! The SU carbs you restored are wonderful and the performance is back to where it should be. Much better low end power now and just an entirely enhanced experience. There is a reason that Volvo engineers chose these carbs to be mated with this engine and it’s perfectly clear to me now. I have to thank you for the work you did bringing these tired carbs back to enjoy a second life! It’s the best money I’ve spent on this car. Hi Rhys Just a quick note to advise you: The carbs you rebuilt for the 1962 P1800 project are everything you claim them to be. I was astounded and very impressed with how well they work right out of the box, and while I tend to agree with your caution that they’ll need fine tuning, they’re practically good enough as you sent them! Super Job! I’m looking forward to sending you another set to rehabilitate. The carbs allowed me, for the first time ever, to start the car in seconds after turning the key! I installed them on Saturday. I am totally thrilled and although I need to do a bit of fine tuning, it ran fine on a short run, and most importantly it starts and idles really well. I will definitely recommend your work!